a serious analysis on the basis of which measures for increasing the trust in the Interior Ministry should be taken, as the main problem of the Interior Ministry system is that the society does not trust it, BTA reports. According to President Purvanov, this may be achieved by quite radical actions only, even in structural and personnel aspect. He added also that he is not the person to provide any recipes for that, as this is not his job to point out concrete solutions on the internal status of structures. 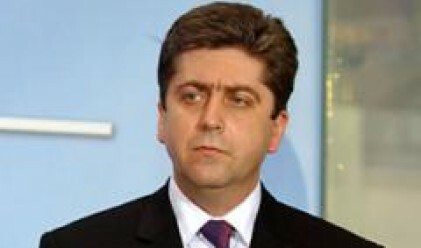 According to the head of the state, it is important the report, which Interior Minister Roumen Petkov will prepare under an assignment by Prime Minister Sergei Stanishev, to serve as a basis for a debate oriented rather to finding out why files, dossiers and investigations on organized crime bosses have been missing for 10 to 15 years already rather than only reporting on what has not been done. The most important thing, however, is what actions will be taken from now on that the organized crime to be put under pressure, on the one hand, and on the other hand, to avoid all doubts regarding connections and contacts of Interior Ministry officers with representatives of the organized crime, he also said. According to the head of the state, this presupposes the permanent solution of the issue of who and how uses special surveillance means. "I am confused by the fact that there 10,000 permissions were issued for using special surveillance means, of which only 160 were used efficiently in trials. This means that either somebody is issuing them at random, or the issued permissions are known by the public and the people who are under surveillance know about them. The control over the internal security of the Interior Ministry should be strengthened to avoid cases such as the dismissal of the former deputy director of the Chief Directorate for Combatting Organized Crime (CDCOC) Ivan Ivanov," President Purvanov added. Taking a question whether Petkov is the person who should continue the reform in the Interior Ministry, the head of the state said that the Interior Minister has the abilities and the will for that and that he has already demonstrated that his ability to carry out such a reform. However, the final decision will be taken by the prime minister. Taking a question whether the interior minister should arrange meetings with persons of controversial reputation, President Purvanov said that according to his experts, this is not wrong from a legal point of view. It might not be moral, but not illegal. "According to me, he should stand higher, he should control, he should manage, he should direct and even punish these representatives of the professional management, who do not do their work well, or who have made mistakes in the performance of a given investigation or assignment," the President pointed out.